Today’s adults have a greater awareness that teeth can last a lifetime. They live longer and are taking better care of their teeth, as reported by a survey released by the National Institute of Dental Research. It stated that the rate of missing teeth among people ages 55 to 64 dropped 60 percent since 1960.
in the U.S. and Canada and it is estimated that there are over a million adults looking forward to improving their dental health and smiles. Dr. Jason Hartman received an additional two years of specialized education beyond dental school to learn the proper way to align, straighten teeth, and how jaw growth affects their positioning. Only those who successfully complete this rigorous formal education may call themselves “orthodontists,” and only orthodontists may be members of the American Association of Orthodontics. One in five orthodontic patients today is an adult, so orthodontists are experienced in adult problems, concerns and potential special needs. For example, if an adult patient has gum disease, or is in need of implants, crowns, or veneers, our doctors will work directly with your dentist and other dental specialists, to help you achieve optimal dental health. Today’s treatment options that move teeth—are less noticeable. 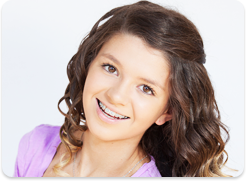 Traditional braces are small and sleek, whether metal or a tooth-colored ceramic. Some braces are not braces at all, but are clear, removable “aligners,” called Invisalign and are used to nudge teeth toward their ideal positions. 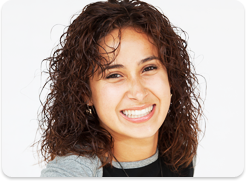 No matter what your dental problem, there is a wide variety of options to choose from to make orthodontic treatment an attractive option for adults, whether you are self-conscious about wearing braces or not. You will be pleasantly surprised to learn how affordable orthodontic treatment is today. At Spark Orthodontics we offer no-interest payment plans and are happy to work with you to design at a payment program that works within their budget. Many dental insurance plans include orthodontic benefits, as well. With today’s longer life expectancy, a healthy, beautiful smile is as important at age 70 as it is at age 16. Orthodontists are the dental specialists who have the education, experience and expertise to help adults, teens and children attain properly aligned teeth and jaws for good dental health.